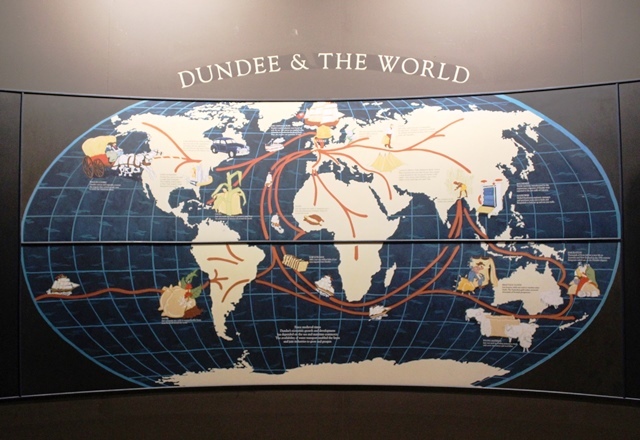 The Scottish city of Dundee is said to be built on ‘Jam, Jute and Journalism’ and a visit to Verdant Works Jute Museum introduced me to the Jute industry, about which I knew nothing. 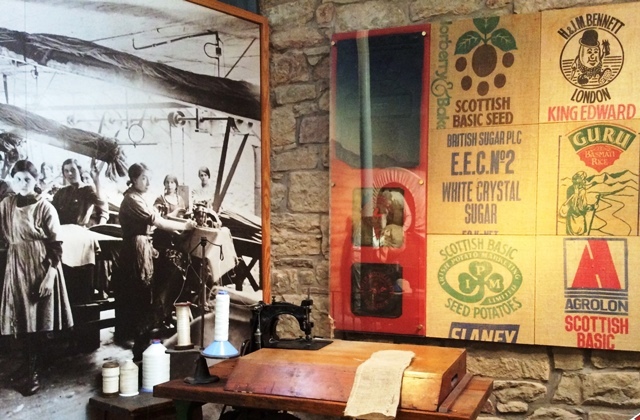 Housed in a former jute mill in the Blackness area of Dundee, it was opened in 1996 as a museum dedicated to telling the story of this aspect of the textile industry. Women outnumbered men three to one in the mills, an imbalance in the labour market that gained Dundee the nickname of ‘she town’. It created a unique and tough breed of women, born out of being the main providers for the family. The mill girls were noted for their stubborn independence. “Overdressed, loud, bold-eyed girls” according to one observer and often ‘roarin’ fou’ with drink – characteristics that caused consternation among the ‘gentlefolk’ of Dundee. 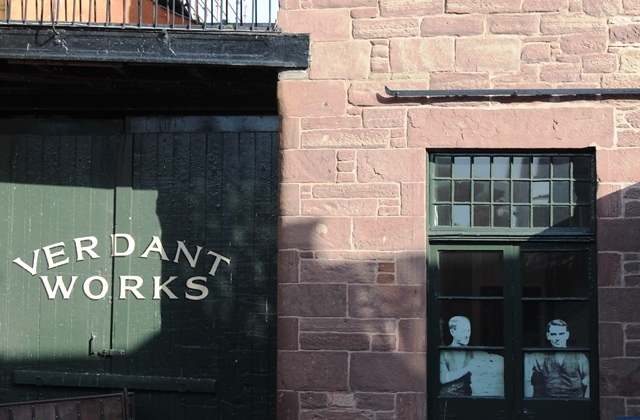 verdantworks.com Women continued to play a key role in Juteopolis until the well into the 20th century. It was salutory to find out how market forces were at work over a 150 years ago. In 1855 the first jute mill in India was set up, using machinery and workers from Dundee and by 1900 had taken over as the world’s leading jute producer. (I remember working with shoe-makers in Clarks factory Kendal, where the footwear manufacturer was closing down UK production as it had all been outsourced to Eastern Europe and South East Asia.) 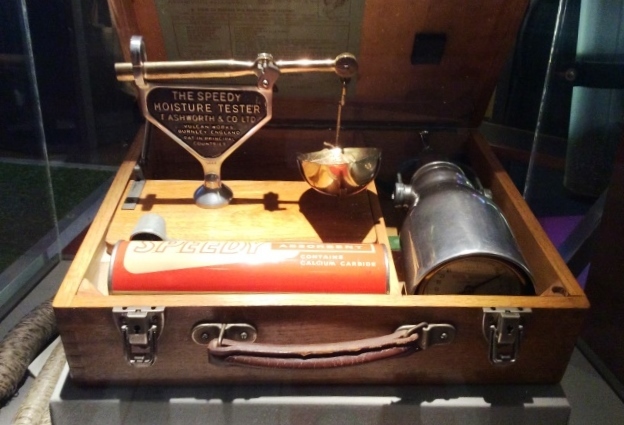 The jute museum does an excellent job of combining fascinating facts, industrial equipment, historical reconstructions and hands-on experiences. 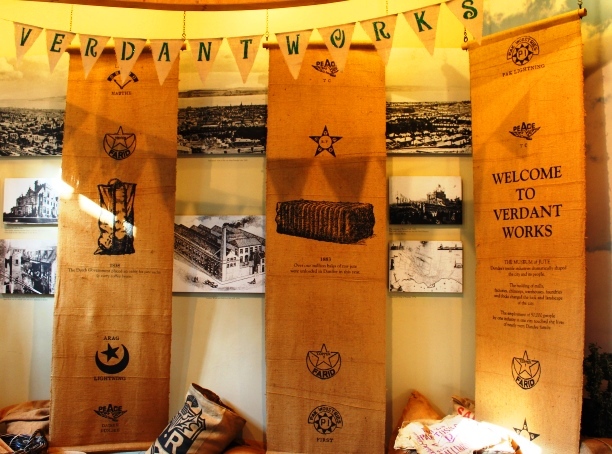 Displays include the wagons transporting raw fibrous jute, massive machinery, information boards on the complex process involved in production, colonial life in India, office managers, the daily lives of factory workers and modern-day uses of jute. It’s gives an excellent insight into one of Scotland’s most important industries. 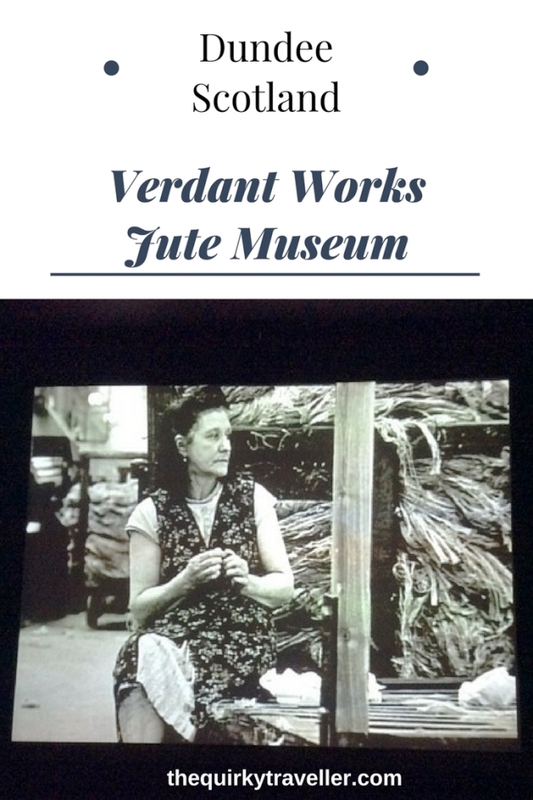 Verdant Works Jute Museum is a must-see attraction for any visitor to Dundee. Many thanks to Visit Scotland for hosting me in Dundee, Jennie Patterson for showing me round and sharing her passion for the city, the owners and staff at Tay Park House for their hospitality and Dundee City for a very enjoyable visit to Dundee. 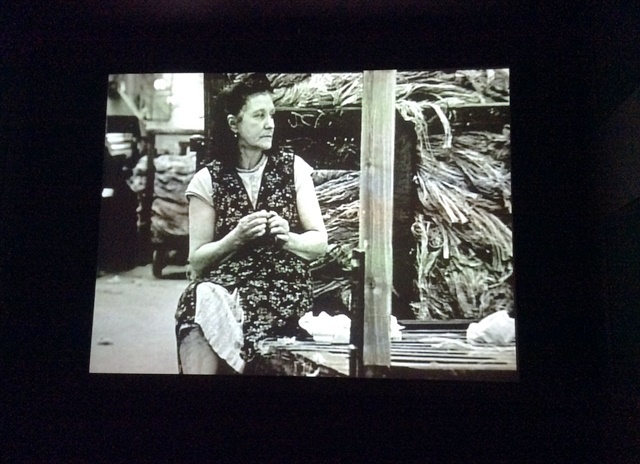 Never heard of the Jute industry before so this was very interesting. Always good to find out about the history of towns and cities in the UK. I was the same as you Jason, and to be honest, it wouldn’t have been top of my to-do list in Dundee, but it REALLY is worth a visit. 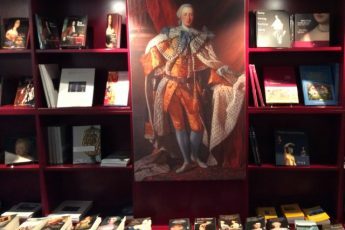 Another gem to add to the ‘Quirky Museums of the World’! The Jute industry was huge in India: it grows there naturally. No animals will eat it. In the modern post-plastic bag era (it will happen) we will once again need Jute as a non-plastic source for bags to carry our market goods home. It would be great to see a revival of this industry in various western countries, including Dundee, where it would have a future. I think many will be turning their eyes towards a less polluting substitute for the sheer amount of plastic in our environments, both on land and in the sea. Tricia, well said and thank you for sharing such thoughtful comment. It will be good to see if such natural products come back as we recognise the impact of man-made goods on our environment. Hi Zoe. my name is Delia, used to be Delia Devery. My dad was Thomas Devery, and he used to say his dad managed the Jute mill. Dad was sent to work there when he was 11, taken out of the convent school he loved. That would have been in the 1920s, I guess. He used to say he didn’t like working at the mill, because people swore. If there is anything you can find out about my grandfather, I would be delighted to hear about it. 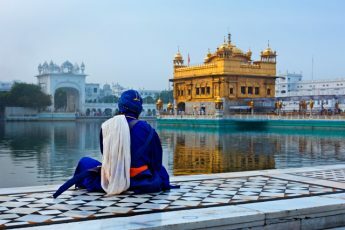 Very interesting article. !